As long as I can remember I have enjoyed watching the Olympics. I have a few memories of the 1968 Olympics from Mexico City, especially Bob Beamon’s crushing of the long jump record by several feet and establishing a record that stood for over two decades. As a 10 year old I remember being transfixed with the entire world when the Israeli athletes were taken hostage and murdered. I was watching live when Jim McKay told everyone, “they’re all gone.” I shuttered then and I still get goose bumps when I see replays of that horrible event. As with every Olympiad since 1972, I will pray this year the only controversies will be faux pas, bad calls and claims of biased judging. One of the reasons I enjoy the Olympics are the wonderful performances and backstories of the athletes. Anyone who saw the 4X100 Men’s swimming relay 4 years ago in Beijing still remembers the amazing comeback and .07 of a second victory by the USA team which allowed Michael Phelps to win a record 8 gold medals. In every Olympics there are athletes with amazing stories of overcoming injuries or other obstacles in life and getting to the highest stage. The other reason I am an Olympic watcher is for the variety of sports many of which I hardly ever see, and a few I have never even heard of. Has anyone heard of Olympic handball? It was first introduced in 1936, then dropped and not reinstated until 1972. While I watched my share of Wide World of Sports as a kid, I don’t remember having seen that sport, which looks like water polo played on a basketball court, sans water of course. 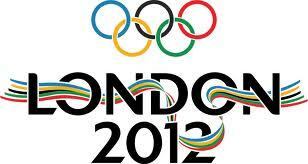 It was not until I found it during a previous Olympics that I was able to enjoy this wild and crazy sport. I have seen cycling in the Olympics and occasionally between games, but I had never watched much BMX cycling, the “high flying, extreme, they’ve got to be crazy,” cycling till it was added to the Olympics in 2008. I don’t know much about it, but I will watch it. I also did not realize that hockey, aka field hockey, was the oldest known sport utilizing a ball and a stick. They say it goes back to when shepherds used their crooks and hit rocks out in the fields. I guess the shepherds deemed not good enough to be hockey shepherds invented golf so they would have something to do with their crooks and rocks. Who remembers that trampoline is an Olympic sport? The cynic in me wonders how they will televise it through those blue safety nets that I see around neighborhood trampolines, and I assume the participants had a waiver signed by their parents so they could jump on the trampolines. Yet if I come across it, I will watch it. When I was a kid we had a ping pong table in our living room, before we could afford real furniture. While we had some pretty wild games, they couldn’t of course hold a candle to the amazing contests that will be coming out of London. I can’t wait to see if “roundhouse” has been added to the ping pong, excuse me, Table Tennis events, but regardless I will watch it if I can catch it. While some of these sports may be easy pickings for late night comedians or early Sunday morning preachers, what is really impressive is the dedication all the athletes have in preparing themselves and becoming the best in the world in their respective sports. Whether it is gymnastics or any of the lesser known sports, the competitors have spent thousands of hours practicing and practicing. Parents and or coaches have spent similar amounts of time driving, teaching, pushing and comforting. While each contestant was blessed with certain abilities in their sport, it was only dedication and disciplined practice that got them to London this summer. As children of God, we have been blessed by being created in the image and likeness of God. Think about that, God’s image and likeness is a part of us, not unlike the skills and abilities of Olympic athletes. However unlike the athletes, God’s likeness and image is in everyone. Unlike athletes these gifts do not get better or stronger with training and discipline, but what does happen is our ability to recognize God’s image and likeness in us and others is enhanced the more time we spend with God in prayer, worship, and service. Trust me, the amazing things the athletes are able to do when training is accompanied by talent pales in comparison to the amazing changes in life, and indeed the world, that occur when God’s image and likeness in us is accompanied by disciplined study, worship and prayer and other spiritual disciplines. While I cannot hope to succeed in athletic endeavors, the discipline and dedication of the athletes can and will inspire me to be more disciplined to all areas of my life including, and most importantly, my discipleship. This entry was posted in Scattershooting and tagged christian, discipleship, faith, olympics. Bookmark the permalink.